Geist Expander: Synth Percussion - A unique collection of percussive drum hits to spice up your drum tracks, made exclusively with synthesisers both old and new. Forget conventional and acoustic drums - this Geist Expander focuses purely on the weird and wonderful results that can be achieved when using synthesisers as a sound source for percussion. Geist Expander: Synth Percussion contains hats, kicks, percussion, snares and tom samples generated from both classic & modern-day synthesisers. 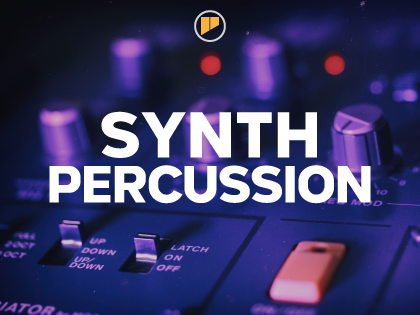 Start from scratch to create and entirely electronic rhythmic section, or add analogue chirps & digital buzzes to your beats to give your tracks an inventive twist.